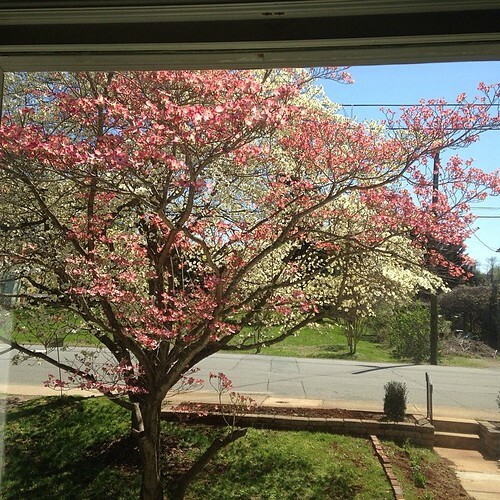 Dogwoods in the front yard. ism (whoops, accidentally posted to early). Actually, I’d probably get a pretty big kick out of discussing some of the homeschooling culture and bizarreness even if just in private. 😛 We’ve both ended up pretty far removed from a lot of the extremist stuff that floated around in those circles. Drawing never hurt no one. Try standing in front of a window with a marker. Keep your head still and trace what you see. Color it in. You will smile at it.